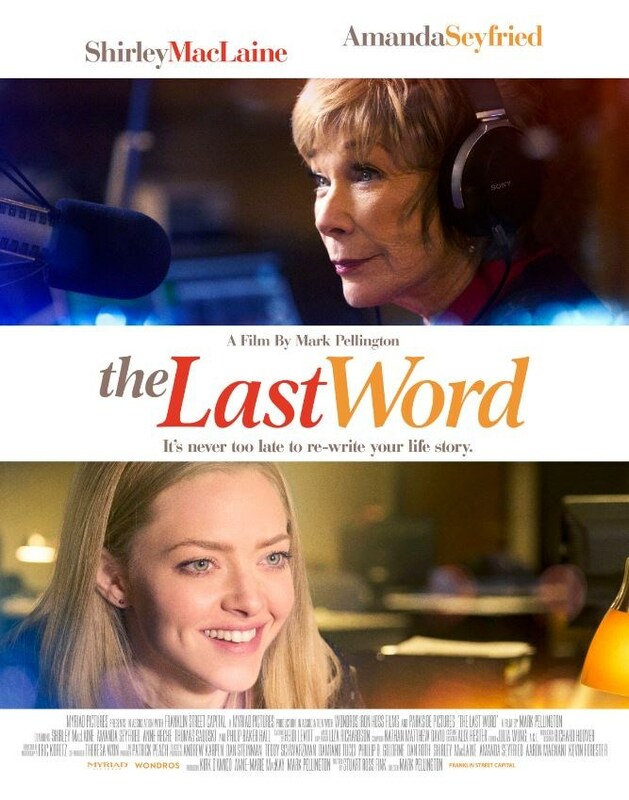 In THE LAST WORD, Shirley MacLaine is Harriet Lauler, a once successful business woman in tight control of every aspect of her life. As she reflects upon her legacy, she's suddenly inspired to engage a young local writer, Anne Sherman (Amanda Seyfried), to pen her life's story. When the initial result doesn't meet Harriet's high expectations, she sets out to reshape the way she is remembered with Anne dragged along as an unwilling accomplice. As the journey unfolds, the two women develop a unique bond which alters not only Harriet's legacy, but also Anne's future.